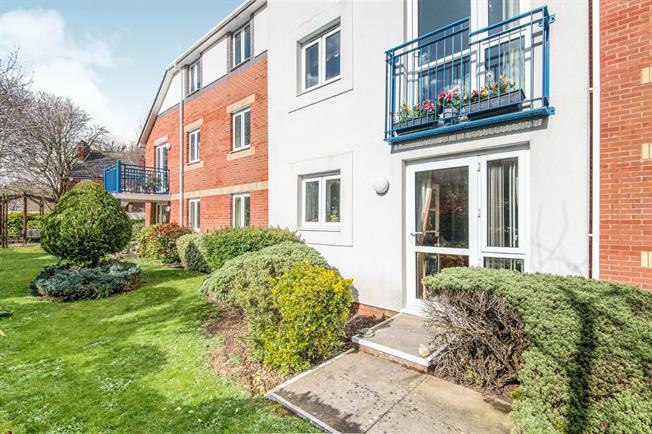 1 Bedroom Flat For Sale in Exeter for Offers in excess of £160,000. FEATURED IN THE BIG OPEN HOUSE EVENT - 27TH AND 28TH OF APRIL. PLEASE CALL FOR VIEWING ARRANGEMENTS. An early viewing is recommended to make the most of this ground floor retirement apartment. Accommodation comprises a light and spacious living area which provides direct access to the communal gardens, fitted kitchen, bedroom with fitted wardrobe and a family bathroom. The property is in good decorative order through out and benefits from UPVC double glazing and electric heating.